Steve Vladeck: Who is Rachel Brand, and how does her resignation affect Mueller's Russia investigation? Steve Vladeck Who is Rachel Brand, and how does her resignation affect Mueller's Russia investigation? For those worried that Trump might try to hinder the special counsel, Brand’s resignation matters. 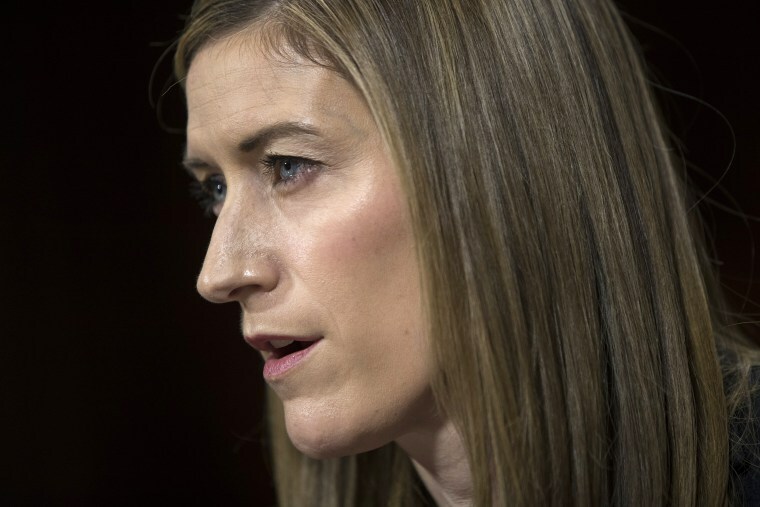 The news that Associate Attorney General Rachel Brand — the third-highest official in the Justice Department — is resigning after a little less than nine months in office to take a position with Walmart set off a double-barreled firestorm on social media Friday night. While assistant associate attorneys general typically do not make headlines, Brand’s departure raises questions about who will succeed her and what her departure (and her replacement’s selection) might portend for the future of special counsel Robert Mueller’s investigation into Russian interference in the 2016 election. The succession question is actually a bit complicated. By default, under an obscure statute known as the the Vacancies Reform Act of 1998, Brand’s temporary successor as the “acting” associate attorney general is her principal deputy, Jesse Panuccio. That same statute would also allow the president to choose someone else to serve as the “acting” AAG on a temporary basis for up to 210 days; the pool of individuals from which the president could draw in this case includes individuals already holding Senate-confirmed positions elsewhere in the executive branch (like EPA administrator Scott Pruitt) or senior civil service lawyers in the Justice Department, specifically. So if the president wanted someone other than Panuccio to be acting AAG, he’d have plenty of choices, at least on a temporary basis. Of course, Trump is also free to formally nominate anyone to replace Brand on a permanent basis, but that option would require Senate confirmation. However, because Panuccio is not Senate-confirmed, he would not act as attorney general (or deputy attorney general) if those offices were also to become vacant. Instead, under the Justice Department’s own succession statute and guidelines implementing that law issued by Attorney General Loretta Lynch in November 2016, Brand is replaced in that line of succession by Solicitor General Noel Francisco (the solicitor general is the nation’s chief legal representative in front of the Supreme Court). While assistant associate attorneys general typically do not make headlines, Brand’s departure raises questions about who will succeed her. The reason why all of this matters is because the associate attorney general is the designated successor to the Justice Department’s second-highest ranking official, Deputy Attorney General Rod Rosenstein. And it is Rosenstein, thanks to the recusal of Attorney General Jeff Sessions, who authorized Mueller’s investigation in the first place — and who is the only government official with the legal authority to directly fire Mueller and otherwise terminate his investigation. In other words, Rosenstein is the crucial fulcrum between the political leadership of the Trump administration and the quasi-independent special counsel. The president cannot directly interfere with the special counsel’s investigation without going through — or getting rid of — Rosenstein. To be sure, various Republicans in Congress have expressed their support for both Mueller and Rosenstein, but there have been increasing signals from the White House in recent weeks that Rosenstein may be in the crosshairs — including as a potential casualty of the faux #ReleaseTheMemo scandal. And if Rosenstein resigns or is fired, it would usually be the associate attorney general who would inherit his authority vis-à-vis Mueller. Now, however, that honor would fall to the person next in line to act as attorney general — in this case, Francisco. Simply put, if the president were to fire Rosenstein tomorrow, Solicitor General Noel Francisco would take over supervision of Mueller and his investigation. Thus, for those worried that the president might try to prevent the Russia investigation from running its course, Brand’s resignation reduces the number of Senate-confirmed officials who would have to agree with the president (or whom the president would have to fire) to bring about that result. In this case, Brand was an official generally perceived to be deeply faithful to the rule of law — and therefore unlikely to interfere with Mueller’s investigation without good cause. But as that episode underscores, the more officials who have to be forced out before the president can achieve a particular result, the greater the political costs. And so with every presumably voluntary departure of someone like Brand, the political costs of direct presidential interference with the Russia investigation may well go down. But even if Brand’s departure ends up having no bearing on the Russia investigation, specifically, it’s still an ominous sign more generally. After less than nine months, the third-ranking official in the Justice Department resigned, according to an associate, “[b]ecause she is very smart, accomplished, and talented, and wants to protect her career.” If someone as smart and accomplished as Brand came to the conclusion that the best way to protect her career was to leave the Trump administration, one can only imagine — the Russia investigation aside — exactly what she is trying to protect her career from.